Anyone who has visited or lived in New York will have their own favourite little part of the city that they insist you check out. This list makes no claim on being definitive but it includes ideas for everyone who is taking a trip there. These probably need a separate article, if not a separate book. Take your pick from the Statue of Liberty, the Empire State Building, the World Trade Centre Memorial and many more besides. All of them offer tours and make for great photo opportunities. An expansive museum featuring some of the most famous collections of art in the world, the Met is worth devoting some serious time to. If that time happens to be Friday night, you might just get in for free. Well, you have to eat! One of the longest standing arguments amongst New Yorkers is the great pizza debate. Try Grimaldi’s or Lombardi’s and then get ready to hold court. If craft beer’s your thing, then you won’t go far wrong in New York. The local breweries are an increasingly popular destination for tourists. Brooklyn Brewerymight be an international name, but you can still get a free tour. If you have time to make it to a Broadway show, you won’t be disappointed. You can’t leave New York without some singing and dancing from titles like Wicked and Jersey Boys. For all you sports fans out there. Even if you have no idea who the Knicks are, the experience of watching live sport in a world-famous venue like Madison Square Garden is sure to be one to remember. Take a stroll or cycle around one of America’s most famous parks. You’re bound to find something going on; and, in a rare quiet moment, there’s plenty of scenery to enjoy. The best thing, however, is that it’s completely free! 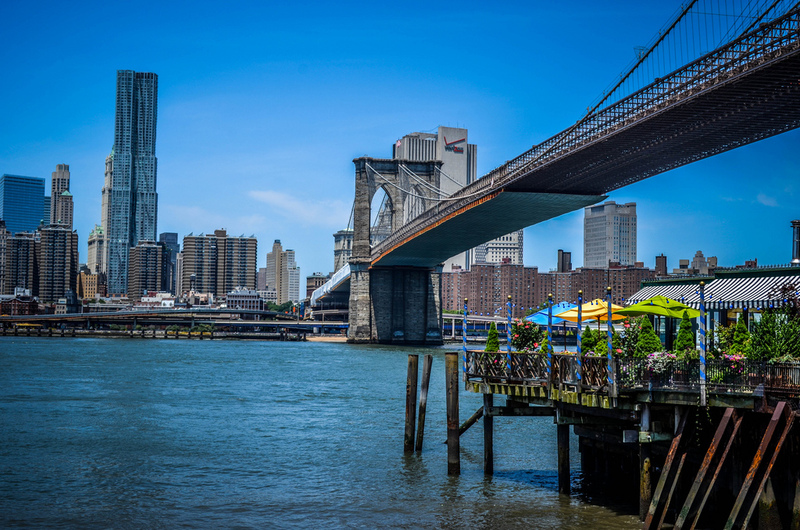 Crossing the East River and linking Manhattan with Brooklyn, the Brooklyn Bridge offers some fantastic views of the city. Be wary of angry cyclists. So much more than a simple train station. Explore the Whispering Gallery, graze in the gourmet culinary market, or take a tour around the elevated passageways. But whatever you do, don’t leave! There’s so much more for you still to see! Even taking a stroll round New York is a thrilling experience in itself, and the skyline is a free sight that is, quite frankly, priceless.